Abuse and neglect against the elderly is a growing concern for many families who must place their loved one in a nursing home, assisted living facility or a rehabilitation center. Often times, residents become victims of physical and sexual abuse, abandonment, neglect or financial exploitation. Any type of abuse, neglect or mistreatment can leave psychological and emotional scars to our most vulnerable citizens. Our team of experienced nursing home abuse attorneys protect the rights of all nursing home residents in Illinois. We provide the services as an effective solution for stopping abuse, neglect and mistreatment now. We encourage families to review the information we post concerning safety concerns, opened investigations and filed complaints against nursing facility statewide. The data can be used to make the best informed decision before placing the care of a loved one in the hands of professional caregivers. Skilled nursing services provided at the facility also include isolation, G-tube and IV therapies along with specialty services that include cardiac rehabilitation care. The United States government, through its website portal W WW.Medicare.gov, continuously updates their star rating system evaluating nursing facilities nationwide. 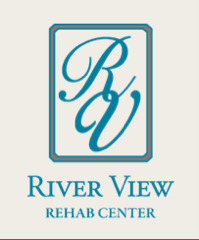 Currently, River View Rehab Center maintains an overall two out of five available stars. This includes two stars for health inspections, staffing and quality measures. In a separate statement of deficiencies dated 10/23/2015, a complaint investigation is opened against the facility for their failure to “assess and monitor and provide treatment and services in a timely manner to a resident with an acute humoral fracture. This very resulted in a worsening of the fracture an increased pain for the resident.” In addition, the facility “also failed to have an effective communication system with the dialysis center to coordinate care pre and post dialysis” for a different resident observed during the annual licensure and certification survey. If you, or a loved one, have been a victim of abuse, neglect or mistreatment while residing at River View Rehab Center, or any other nursing facility in Illinois, Rosenfeld Injury Lawyers LLC can serve as your legal advocate. Our team of dedicated nursing home abuse case attorneys can take immediate legal steps to stop the harm now. We urge you to call our law offices today at (888) 424-5757 to speak with our legal representatives and schedule a full case review. All cases involving nursing home abuse are handled on contingency. This means we provide legal representation without the need of any upfront fees.